New Zealand’s leading sweet chilli sauce range now looks as authentic as the sauce itself. Trident’s range of sauces are all made in Thailand with locally sourced ingredients for a truly authentic taste of Thailand. 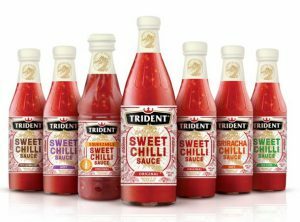 Trident Sweet Chilli sauces are available in original, ginger, hot and lime variants, also available is an authentic Sriracha hot sauce. Local, Leading Oats Brand Unveils a Refresh!